The Company utilizes Sovereign Operating Company LLC (“Sovereign”); it’s wholly owned operating entity to handle all field operations, regulatory and compliance, accounting, joint interest billing and revenue functions. Our operated properties are concentrated in the Rocky Mountain and Mid-Continent regions of the United States. These assets comprise a diversified portfolio of natural gas, liquid rich gas and oil producing properties. Each core asset leasehold includes numerous producing fields with a large inventory of low-risk drillable locations, providing meaningful exploration and development opportunities. Our non-operated properties include interests in 1,800 wells across 15 different producing basins through out the U.S. Through its co-founders and since its formation, BSEG has been engaged in the acquisition, exploration and development of oil and gas properties in the DJ Basin for more than 30 years. The DJ Basin is a hydrocarbon-rich area centered in eastern Colorado that extends into southeast Wyoming, western Nebraska and Kansas. Oil and gas has been produced from the DJ Basin since its discovery in 1901. It has been one of the most important producing areas in the country. The total value of past production from this area, if calculated using today's prices, would exceed $150 billion. BWAB-Sovereign acquired from Jones Energy, certain natural gas producing properties in the Greenwood Field, located in Baca County, Colorado and Morton County, Kansas. The Anadarko Basin is situated in southwestern Kansas, northwestern Oklahoma, northeastern Texas Panhandle and in southeastern Colorado. The total area is approximately 70,000 square miles. From around 5000' thick at the HugotonEmbayment to the north and northwest, the rocks thicken southward where they can be locally more than 40,000 feet thick. The Anadarko Basin is one of the most prolific hydrocarbon producing (5.5 billion bbls of oil and 130 trillion cubic feet of total gas, cumulative production) provinces in the continental United States. Production comes from Cambro-Ordovician through Permian strata. Four major horizontal drilling plays in progress in oil and has bearing horizons are (1) the Cleveland Ss., (2) the Granite Wash of Pennsylvanian age, (3) the Mississippian limestones, and (4) the Upper Devonian Cana-Woodford Shale. Over four thousand horizontals have been completed in the basin to date, at vertical depths as great as 15,000 feet. Significant future horizontal development may await in Pennsylvanian sandstones and shales as well as in older carbonates in the Mississippian through Ordovician. BWAB-Sovereign along with Peterson Energy Operating Company, acquired 100% Working interest in the Morton Field in Converse County, Wyoming. The Power River Basin is a geologic structural basin encompassing 21,000 square miles in southeast Montana and northeast Wyoming, about 120 miles east to west and 200 miles north to south, known for its rich energy resources. The Powder River Basin is also Wyoming's biggest oil producer. According to the Wyoming Oil and Gas Conservation Commission, oil from the Powder River Basin accounted for nearly a third of the state's production (2013 - current). In that time, Campbell County produced 5.5 million barrels, or 19.4 percent of the state's oil production. Converse County produced 3.5 million barrels, or 12.3 percent of the state's production. 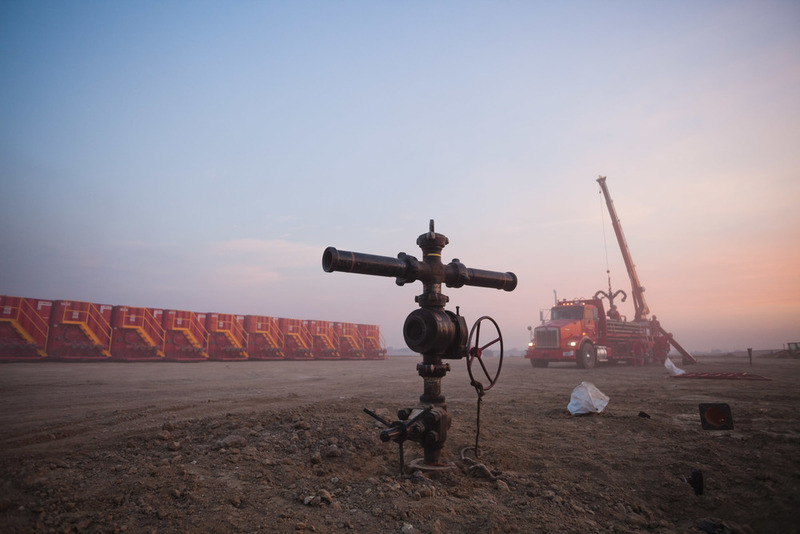 Energy companies are drilling thousands of feet below the surface, targeting formations of the Teapot, Parkman, Sussex, Shannon, Niobrara, Turner-Frontier, Muddy and Mowry. The formations range in depths of 6,600 to 14,800 feet, according to Wyoming Oil and Gas Conservation Commission records. BWAB-Sovereign Energy Group LLC formed BSEG Water Group LLC to acquire and capitalize a start-up water infrastructure provider in the energy sector, BNN Energy LLC. In 2014, an 88% interest in BNN was merged into Tallgrass Energy Partners LP, a publicly traded master limited partnership (NYSE:TEP), and in 2016, BSEG sold its remaining Common Share and Co-Invest participation rights to TEP. BNN (1, 2 and 3) provides permanent water infrastructure and innovative solutions to clients in the oil and gas industry, and has the ability to fund, design, build and operate water assets throughout the entire life cycle of E&P projects: Sourcing, Transport, Storage, Recycling and Disposal. BNN, along with its collaborative partner, DOW Chemical, recycling produced and flowback water under a longterm agreement to a major (top 5) operator in the DJ Basin's Wattenberg FIeld. The treatment train is a three step process that removes total suspended solids (TSS) and bacteria, without the use of any chemicals. BNN owns and operates a 15.4 mile pipeline that serves a top-tier operator in the DJ-Niobrara/Codell play. This pipeline has a capacity of 50,000 BBL of water per day, and BNN has long-term take or play contracts in place. BNN acquired and operates Whiting Oil & Gas Corporation's Redtail Saltwater Disposal and Fresh Water Transportation and Storage System. This system includes a fresh water delivery and storage system and a produced water gathering and disposal system that together comprise 62 miles of pipeline along with associated fresh water ponds and disposal wells. BNN will expand this system to provide all area operators with services from this integrated water system. A sustainable water source with large storage capacity in the Eagle Ford Shale Play. BNN's Karnes facility is capable of providing sustainable source water to Operators and Service companies in high volumes. With over 375,000 barrels of storage at Karnes, BNN can serve as a turn-key solution for drilling programs in the service area. The facility provides the option of moving water via temporary surface transfer with easy access of of Highway 123. BNN Energy has over 7,500 Acre Feet of water (per year) available for oil and gas operations and municipal use throughout the counties of Karnes, Dewitt, Gonzales, and Wilson within the Eagle Ford Shale in Texas. The water can be delivered via temporary transfer or permanent pipeline depending on the volume and duration of the need. BNN/Acequia also provides over 500,000 barrels of surface storage. Renewable solution for a dry west Texas area. BNN's Big Lake facility is currently providing large volumes of water to a top-tier operator in the Permian Basin. While this volume is committed for years to come, this facility can be used as an example of what BNN can provide to its clients throughout Texas. BNN can typically have a facility operational within 30 days of a commitment. BNN owns and operates a 13.5 mile pipeline that serves a top-tier operator in the Permian Basin. This pipeline has the ability to deliver up to 9,000 barrels of water a day, and BNN has contracts in place to serve its client for the next few years. BSEG co-founded with a local Bakken company to provide safe and proper saltwater treatment, recycling and disposal to conserve, reuse and create sustainability in the Bakken Shale Play in North Dakota. We coordinate with area operators and water haulers to lower hauling distances and increase efficiency. BSEG co-founded and holds 16% membership interest in First Oilfield Services LLC, who provides hauling services to companies in the Utica and Marcellus Shale in Ohio, Pennsylvania and West Virginia. The company utilizes 130 barrel vacuum trailers and 100 barrel tank trucks to haul non-hazardous fluids, including but not limited to drilling fluids, freshwater and saltwater, and also hauls other oilfield supplies using a variety of flatbed trailers. First Oilfield is also the primary frac-sand hauler for a top-tier operator in the Utica Shale Play in Ohio.